When you are looking for a person or company that claims to offer you the best Canadian website design then first you need to confirm if they truly are Canadian read my article covering fallacies of Canadian Website Design. If that part of the statement proves to be true then let’s tackle the “Best” claim in Best Canadian Website Design. 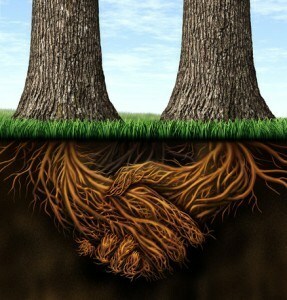 Any time something is built, whether it is a physical object like a house or car, a digital product like a website or cloud service, an organizational entity like a company, or even a religion, the foundation it is built upon is the first and primary structural component that will determine its strength, its potential and its durability. That is why we pay so much attention to the tools used to build the foundation of your website and this is why you should pay great attention to this too. This will help you avoid the building a castle in the sand syndrome. The foundation must be very strong and true. Unfortunately many individuals who are looking for a website that are not technically knowledgeable about website design, run out and buy a template or theme because they like the look, when it is the foundation that they should be concerned with. A good developer can change the look of a theme or template, but if the foundation in not solid and secure or not supported in the future, there is not much that can be done to improve this situation except to throw the baby out with the bathwater and start over. WordPress is a great foundation, probably the best, however it you install a poor theme or template on top of this you destroy the foundation and open your website to many security threats. You also inject poor code into the design that google will penalize your SEO for, and ultimately take the risk that the next upgrade to WordPress will not be compatible with the theme thereby breaking your website. In our opinion and experience there are two firms that stand apart when it comes to making WordPress themes worth using and we are licensed developers for both of them for all the themes they make. One of those organizations is the Genesis Frameworks by StudioPress. With these tools, we can design literally anything and ensure that it is stable, secure, supported for all future upgrades, SEO optimized and takes advantage of all new features that evolve on the web. Without this kind of secure foundation, you are building your castle in the sand and it will surely wash away. WordPress has been upgrading their platform more and more frequently lately, every few months lately not years. The amount of themes that have been broken or cannot access new important features is growing with every update. If you buy a theme or template from a market where independent developers post their themes you take the real risk that the designer will just not support the next WordPress upgrade and that theme will be deserted. Another common occurrence is that designer gets a job with a major developer and is forced to abandon their part time developments. The web is littered with deserted and unsupported products like this. Don’t build your website on this poor foundation. One of the first ingredient required when seeking best Canadian website design principals, and our first step when choosing tools for your website, is to build the website on a strong foundation with the strongest tools. How do you do that exactly? Here are some ideas and recommendations for you to consider. Choosing WordPress as the core development platform by downloading the latest version from WordPress.org provides you with a state of the art development platform that is very SEO friendly, secure, extremely popular and has an extensive choice of development tools and loads of quality developers to choose from. The WordPress platform has many themes and plugins that will help you to reach your goal of creating the very best Canadian website design that you have imagined. Once you have chosen WordPress many more options now open up to you. You can decide to design from scratch, choose a pre-designed Theme, or choose theme development tools. Many of the better WordPress Developers choose a development frameworks to build upon to save money and time by having a strong foundation on which to build a custom website. Two of the most popular are The Genesis Frameworks from StudioPress and more recently Divi from Elegant Themes. Genesis is a solid frameworks, very SEO friendly that you can build custom themes on of buy a child them and then customize it further. Divi is perhaps more flexible in allowing you to build literally anything you can imagine on tops of a robust theme frameworks and is very easy to customizes with css code to build very unique designs. They both have their strengths and weaknesses and here at We Build Websites we use both of these tools extensively. An added and important bonus is there are many very experienced developers available to choose from with extensive expertise working with both of these products and the success of their respective developers, Elegant Themes and StudioPress, ensures long term support and updates for years to come for both these tools. One of the most important features of any website design is the navigation. This is the main user interface so it must be clear and concise. Navigation should be easy to understand and not result in surprises. When a user makes a choice from your menu or other navigation tool the result should mirror what the user expects to happen and do it quickly. This is not an area for surprises or disappointment. Forcing a user to hunt around to find something or carry out a task is a sure way to encourage them to leave your website and not return. To achieve the best design for your Canadian website your user interface and navigation must assist the user in accessing the features that your website offers in a logical and organized manner that allows the user to know where he/she is at all times and how to get to where they want to be. The purpose of building a website is to attract new and existing customers, users, readers, fans, or followers, depending on what it is you or your business does. Without people coming to your website there would be no point in building the website. To get more people to come to your website, they must know it exists. This is where Search Engine Optimization comes in. Commonly referred to as SEO, this is a process that optimizes your website so that search engines such as Google understand your site and can recommend it o surfers by showing it on search Engine Results Pages (SERP’s) when your site offers the content or information that matches what someone is searching for. It is both a simple and complicated topic, because the concept is simple but the execution is not and often it is a moving target. Suffice to say here is that having the proper SEO set up for your website is an important step if you want people to find it. We offer extensive SEO services and without at least some SEO set up your best Canadian website design may go unnoticed on a much crowed internet of many millions of websites. You heard the saying “Content is King”. Well, it still is! Without good content your website offers no value. User will not return to your website and search engines will not recommend it to surfers. Good content means several things. It means well written content, it means original content, it means in-depth content and it means easy to access and read content. Developing the content should come before you start design the site. Good content is the core of your website, its reason for existence, the website will then be developed to serve your content. If you want the best Canadian website design possible, then create good content that people will want to explore! Have you ever watched a movie or read a book where the plot or story became confused and lost focus? Well that unfortunate experience can also happen with a website design if you use an inexperienced website designer that does not know how to create a UX flow for your new website. Great content requires great design to deliver it, hand in glove. The website must bring focus to the content and guide the user through the site so that the experience is optimum. There are numerous design techniques and features that should be implemented from page to page depending on the content that will sharpen focus and lead users to take action. The right design for the right audience. There are certain design foundations that should be maintained not matter who the design is aimed at. These pillars may include navigation, speed, readability and accessibility. But design is much more than that, design must embrace your targeted audience and be suited to that audience. There are both obvious and less obvious design choices to be made. Obviously the overall design look and feel for a corporate accounting firm or legal firm website will be different than for a heavy metal rock band. But what about the more subtle design differences after a look and feel is chosen? Is the website aimed at Elder services? Then larger easy to read fonts for older eyes and softer colours that provide a more relaxed surfing experiences are in order. You probably know that females and males have distinctive colour choice preferences but did you know that font choice differences are even more distinctive? 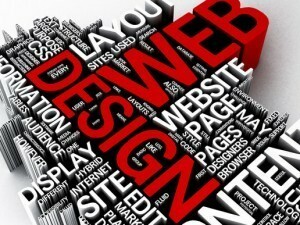 Design your website for the target audience to maximize your success! What can you do to ensure that your web developer has the necessary information? I hope this article on best Canadian website design has helped you in selecting a direction for building a new website or redesigning an old website! If you have any questions, fell free to contact us as always! You may find some of our related articles of interest Affordable Canadian Website Design, Responsive Website Design and Hosting. Today’s blogger can easily spend hours reviewing the most recent or ‘coolest’ WordPress themes, but as discussed in this Post, its important to remind ourselves that many themes contain unsafe elements. Some of these unsafe elements range from simply annoying to downright dangerous that can affect the security of your computer or hosting point. Share your platform objectives with http://www.webuildwebsites.ca and let them choose a proven theme for you.